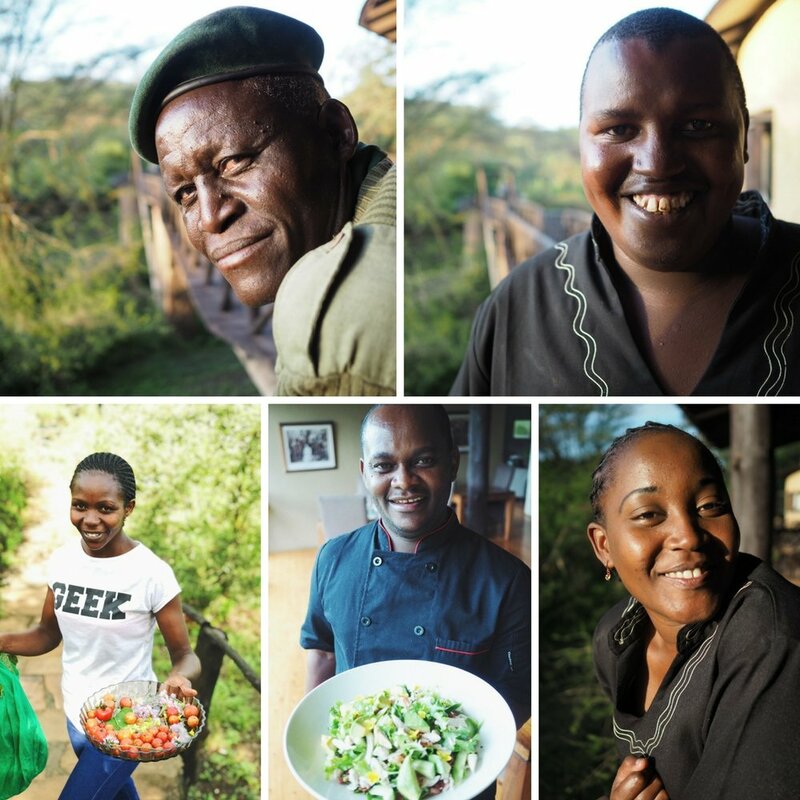 Last month, I was lucky enough to spend 10 days at The Emakoko Lodge, on the edge of Nairobi National Park. Up there with the much-instagrammed, colonial Giraffe Manor, The Emakoko is considered one of Nairobi’s top places to stay, with food that is highly regarded. When it comes to Africa, go back a month and it was safe to say I was very green. A total rookie. I barely knew where Kenya was. Two weeks later I was on a plane to Nairobi, stomach fluttering with excitement and nerves. I was charged with injecting some freshness into the menus, showing the chefs some new dishes and helping with presentation. But chefs can be tricky; they usually come complete with complicated egos & lashings of agenda. What if they were way better than me? What if they resented me? Or thought my recipes were rubbish? The Emakoko Lodge is at the bottom of a steep valley, with its ten individual bedrooms built dotted around on the hill. Mine was the highest with an unbelievable view. There’s nothing quite like the anticipation of arriving somewhere new and exotic in the middle of night and being led up a thousand steps by candlelight in the pouring rain. My huge bedroom was beyond all expectation and I immediately felt safe. I can’t believe how noisy African wildlife is at night! I thought that our screaming London urban foxes were bad! Elephants, lions and rooftop hyraxes scampering above my head kept me awake that first night; every scratch and screech had me convinced I was late for my 6am game drive. My first task was to relax, enjoy the hotel and eat everything I could. Ha. I rose to the challenge! Above the bedrooms at the top of the hill were the staff lodgings, the vegetable garden and the house of the hotel’s owners Emma and Anton. Also another insane view, not to mention sheep, goats, dogs, horses, a baby dik dik! I couldn’t wait to get into the garden and discover have my first experience of African produce. The fruit was a total joy, including the tree tomatoes that grow locally (or tamarillos as they’re also known.) (With my ketchup obsession, it was pretty obvious what was going to happen to them). I hadn’t appreciated how keen they would be to learn. The adorable Jacinta, the only girl in the kitchen, had started catering college but had had to drop out due to the fees increasing. My team were quite literally the dream: they were attentive and eager, they were passionate about their work and already they were already skilled chefs, so teaching them new tricks was easy. And they looked after me impeccably - I was barely allowed to carry my own saucepan. I tried to show them how presentation can affect taste. I spent a lot of time focusing on different garnishes, textures, colours, shapes and patterns, elements which for me make a dish special. They quickly learnt about my obsession with herbs and flowers and each morning Jacinta would bring me a pot of wild (and edible) garnishes she’d picked on her way down the hill. When Anton introduced me to the edible common African plant "Nyam Nyam Bozi" that carpeted most green patches of grass, I was hooked on it’s lemony flavour and folded clover like shape – causing cause endless amusement amongst all the Kenyans. Who was this crazy English lady making them garnish their food with weeds? I loved showing them different ways to use things growing in the garden. I forced them to pick a golden beetroot that had grown so enormous because no one trusted its colour. They'd also been throwing away all the beautiful rainbow chard stems and mistaking their green leaves for spinach. Seeing them discover and taste things for the first time was awesome – I'll never forget their reactions when I showed them how to make homemade honeycomb. And in the same way, they loved seeing my delight in my first time African experiences - the baby hyrax hiding under the fridge, the fluorescent, giant moth in the onions, or one day - just a casual leopard by the pool. I’d be lying if I said the cooking conditions were easy – baking in an ancient gas oven with no temperature gauge, no running water, lack of basic equipment like teatowels, piping bags, blue roll and the poor lighting drove me round the bend, but the Emakoko team just laughed at me. It didn’t occur to them to complain or expect more. But there was always a solution for every problem – bake bread in one oven for 10 minutes to brown the top and moved it over to the next to finish it off from underneath. WHAAAT!? I’ve never seen such a motley collection of utensils being used for completely the wrong tasks. But most of all it made me realise how totally spoilt I am in our kitchen in London. When the bore hole was finally fixed on day five and we finally had running water again, I stood for a few minutes waiting for it get warm. Hot water? More hilarity at the crazy English girl - warming up water on the hob was totally the norm! Setting up kitchens in fields and basements, as we do at Peardrop, has made me resourceful, but these guys are on another level. How they produce what they do, with what they have, whilst being good natured about everything was humbling to see. I couldn't be more grateful to the Emakoko for welcoming me so warmly. What a crazy and rewarding experience. 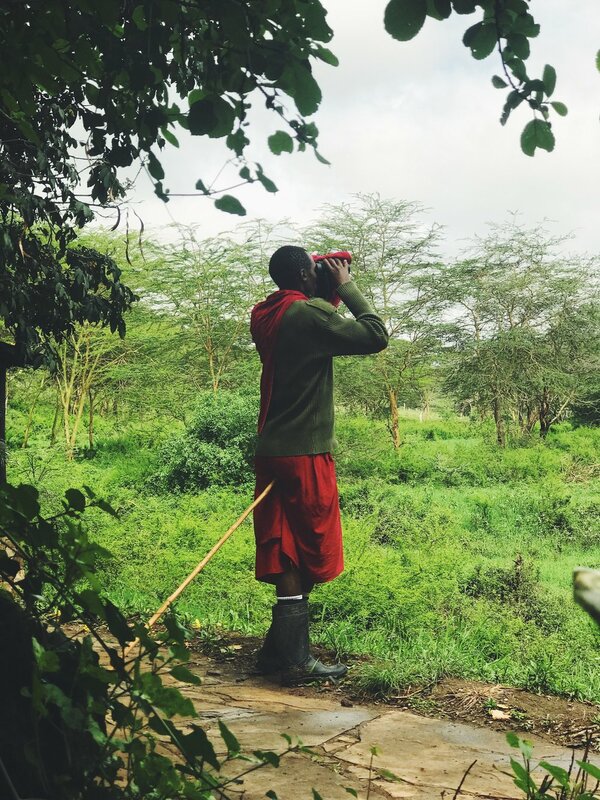 I could never have imagined as we entered 2018, that the year would have me watching giraffes striding up the valley from a giant bath tub or seeing a thousand zebras migrate across a river (and all that before 9am). It was a total joy to meet you all and I hope that nyam nyam bozi has not been forgotten!